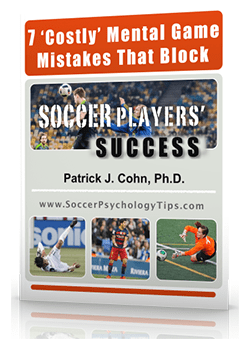 Please download our soccer psychology and mental game assessment. It will only take you about two minutes to complete our sports psychology for soccer assessment. 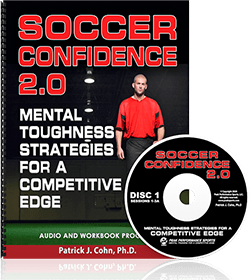 This will help you determine if you are a good candidate for mental game coaching for soccer. Why Test Your Mental Game? To identify the beliefs and attitudes that hinder your performance. To reveal triggers that take you out of the zone and block you from execution. To shatter the mental obstacles to break through your performance barriers. To master proven mental strategies to give your performance a boost! Please return your assessment to us and we will determine if you are a good candidate for personal mental coaching and suggest programs that will help you improve your mental toughness for soccer. 3. Scan or fax back the document with your answers.